Ihsan Yilmaz is research chair of Islamic studies and intercultural dialogue at the Alfred Deakin Institute for Citizenship and Globalisation at Deakin University in Melbourne, Australia. Erdoan A. Shipoli has a Ph.D. in political science and international relations and is a visiting researcher at the ACMCU in the E. Walsh School of Foreign Affairs at Georgetown University. 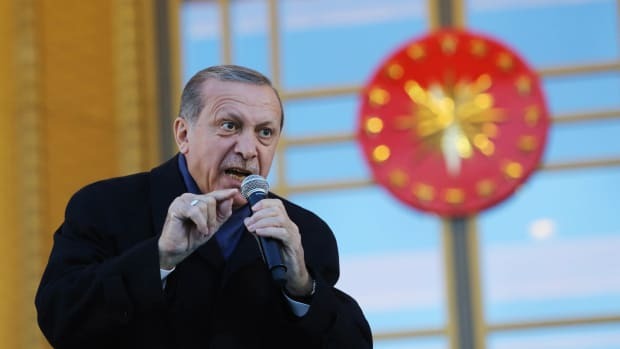 Is Recep Erdoğan Losing His Grip on Turkish Politics? The authoritarian leader attempted to turn recent local elections into a referendum about national security. The results suggest his tactics did not work.